In the summer I found it better to space out the mud treatments to once every three weeks. Also, because of a hectic schedule and wanting to make the most out of summer I didn’t do much exploring. I basically just repeated most of the mud treatments I have done before. Life slows down a lot for me in the fall/winter so it’s the best time to pick up on my interests. I combined two of my favorite strengthening herbs; Amla and Cassia. Both muds are legendary when it comes to strengthening hair roots. Most of the documentation from Ayurvedic reference books indicates the muds have to be used consistently and left in the hair for at least an hour in order to have a notable impact. Even though most claims on these herbal powders are hard support, I can certainly verify that Amla does add texture because it’s observable on my post rinsed hair. 1) It stops breakage in it’s tracks. I was having a mini issue with tiny strands falling from my hair. I knew it wasn’t shedding because they were too small and without the white bulb at the tip. After using this combo for two weeks they are completely gone. That makes me very happy. 2) Post-rinsed hair feels exactly how the hair feels after a hard protein (the kind that hardens your hair, like the aphogee two step). Cassia is primarily responsible for this because of it’s similarity to Henna. There have been theories that Henna is a protein (which would explain the hardness of post-rinsed hair). At this point my theory is that Cassia and Henna are protein-like strengthening treatments. 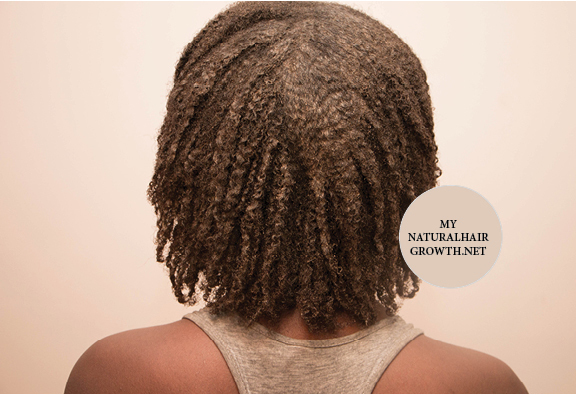 3) It improves my strands tensile strength, of course with consistent use. I concentrate mostly on the strand roots and it has made a difference. I have to use a lot of force to pull a strand out because the strand won’t break, instead it’s uprooted from the root. That’s remarkable considering before my strand would break halfway at the slightest provocation. It can only mean this combination works to fortify strand tensile strength. Mixing medium of choice (I used herbal tea from the dry hair blend, added two table spoons of aloe juice and half a tea spoon of Shea Water Soluble). You can use anything you like here: conditioner, yogurt, plain water, aloe vera juice – Just try to keep the mixing medium fairly neutral PH (nothing too acidic like ACV or too alkaline like baking soda ) to avoid over drying the hair. Stir in a bit of the mixing medium at a time to make a paste. The process is a lot smoother if your mixing medium is warm, at least room temperature. Before covering re-mist with the left over mixing medium to keep the mud moist. Water facilities the interaction between strands and the mud. Also, rinsing will be a nightmare if you let the mud dry to a crackle on the surface of the strand. Cover and let it sit for at least an hour. I let it sit for minimum two hours but really more like three or four. Try to do it on a day you don’t need to be anywhere or even overnight. The longer the mud is on your hair, the better the outcome. 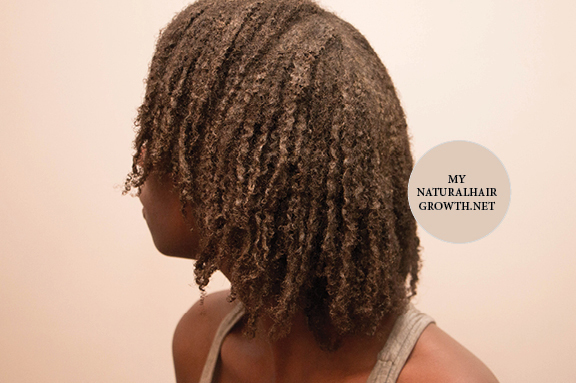 Your hair will indicate if a moisture deep conditioner is essential to restore softness and rebalance moisture. In the summer I found it easier to space out the time between mud treatments to two and sometimes three weeks. The reason is simple; in the summer I like to have free time and be spontaneous (especially about traveling). A weekly treatment schedule would mean a commitment to my hair over all else. I would truly become very resentful of my hair if it chewed up a lot of my summer days. Resentment equals clumsy care so I opted to minimize the muds to once every three weeks. What’s my point? If doing your hair becomes a chore you dislike, you’ll not do it properly. Find a schedule that truly works for your lifestyle and do not be afraid of adjusting it as much as you need to.